The advisory group is run and chaired by Cumbria County Council (CCC), and meets annually to discuss operational successes and any problems through the year, also any changes or repairs needed in the future following the receipt of a report on condition of structure and engineering aspects. Financial reports are also received and amount of ‘profit’ available to be added to CCC’s annual budget is advised. Fares for the next year are recommended to go to the CCC Highways Committee, which may or may not be accepted as it has the last word over all the recommendations as the ferry is regarded as a piece of moveable road. Claife and Lakes Parishes and South Lakeland District Council are also represented with voting rights and are able to contribute information and any concerns over the running of the ferry from the local experience and perspective, but the word advisory is paramount. 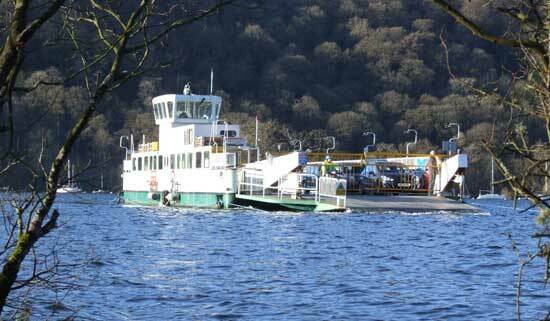 There is no contingency fund as in the past when any excess income was ring fenced towards the provision of a new ferry; however, when the current one reaches the end of its life CCC has given a written undertaking that finance will be found for the provision of a new vessel.